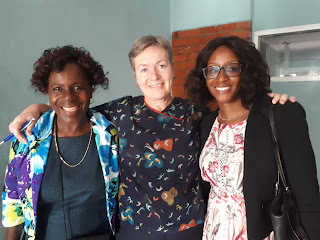 Day 2 at Marondera Hospital proved to be as interesting as the first day but was different as we had more doctors and oncology sisters attending. 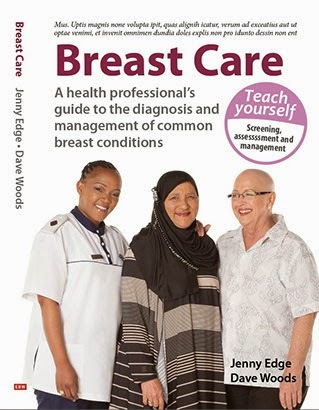 In the morning, there were general lectures and discussion about the management of breast cancer and the challenges of being in a limited resource setting. 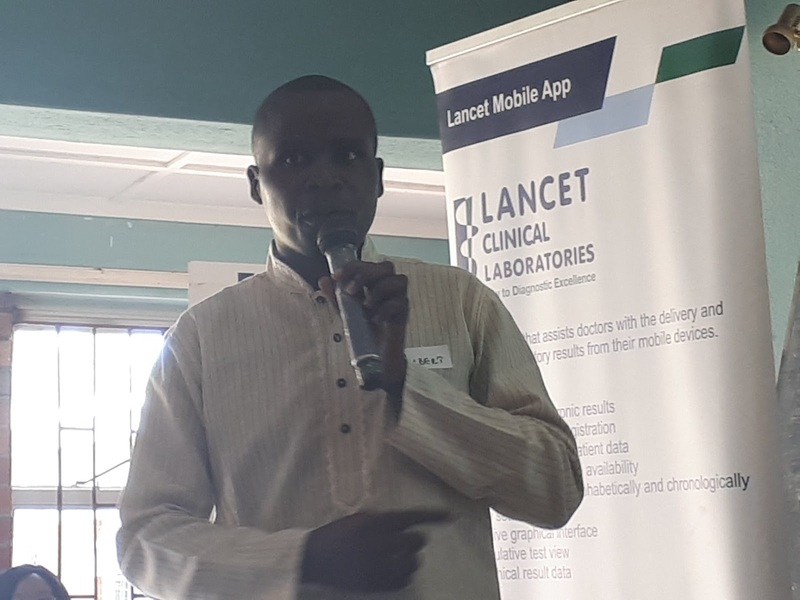 Dr Nyamhunga likened the problems encountered with managing breast cancer to being similar to the problems in a relationship (that was the first time I had heard that metaphor!). 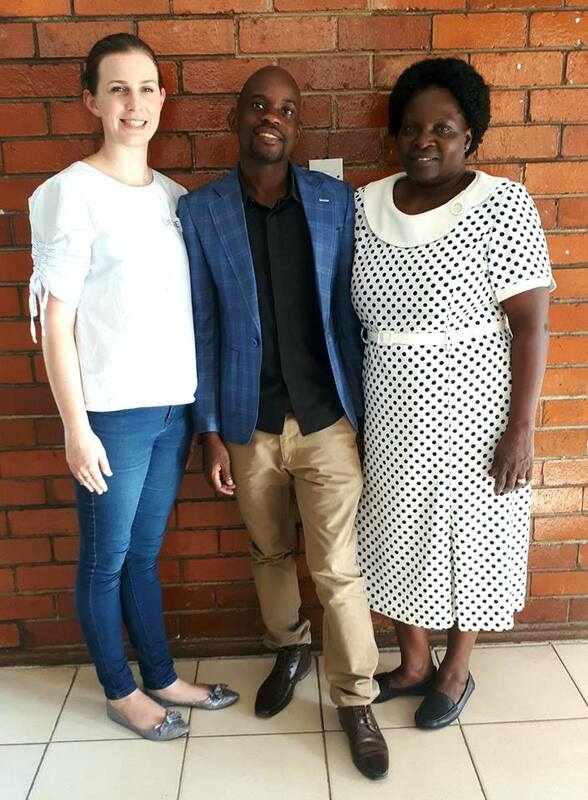 Dr Innocent Kundiona, (one of the surgeons from Harare who travels to Marondera to do the weekly surgery) stayed with us to discuss the surgical management of women. We felt privileged to have so many doctors as there was a nationwide strike going on while we were there. The junior doctors are paid relatively little ($500/month) and get some remuneration for overtime but it amounts to very little given that many of them are on call every other week. Their hours are a long way from reaching the regulated hours worked by doctors in most other countries. In the afternoon, Dr Mvere joined us for a discussion on appropriate breast screening for low to middle income countries. Although she is a radiologist and believes strongly that whilst mammography remains the gold standard for breast screening, she doesn't advocate screening mammography in resource limited settings. Routine clinical breast examination and focussed ultrasound are more appropiate. Sonar is difficult to use as a screening tool. Breasts are naturally not homogeneous and one can often get the impression of masses within the substance. She is advocating for "focussed US". What that means is that if a mass is felt by a trained health care worker an US can be used to distinguish a solid from a cystic mass allowing the abnormality to be biopsied appropiately. We spent the afternoon together in the maternity section with the doctors demonstrating the technique. Lieske ran a parallel session focussing on lymphoedema management. She was joined by Junior Mavu and Faniso Mdenda. 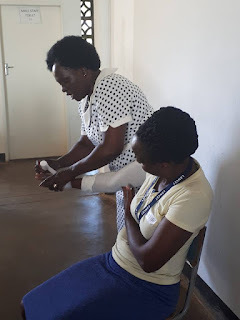 They are 2 trained lymphoedema therapists in Harare. There are currently very few trained lymphoedema therapists in Zimbabwe, this makes the management of lymphoedema very difficult. Many nurses have not heard of lymphoedema and if they have, they often do not know that there is management for the patient. 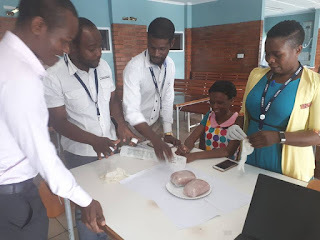 Lieske discussed the anatomy and physiology of the lymphatic system and went through some exercises that the nurses can teach their patients. Junior went through basic lymphoedema management including a bandaging example. Faniso went through risk reduction steps. They ended off with a discussion re wound care. ﻿﻿﻿﻿We had 131 health care professionals from various hospitals and clinics participate over the 2 days. 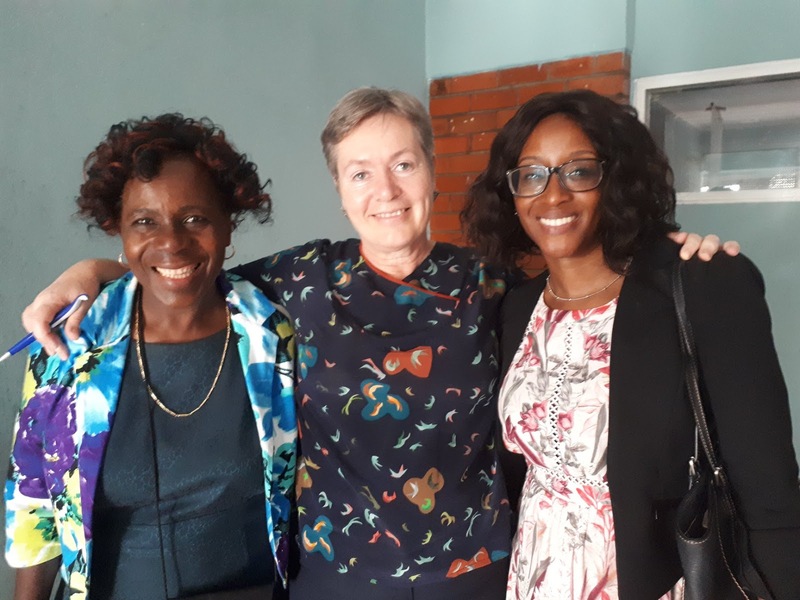 On returning to Cape Town, Lieske received an email from one of the nurses, Enia Mutenga, who said that they ran an HIV campaign shortly after the course and that they did breast examinations on many of the women due to the training they received. Thank you Enia, a lovely message to receive!